Paolo Duterte reacts to Agot Isidro’s dare to show back: Kayo na lang ng ‘GF’ mong si Hilbay! 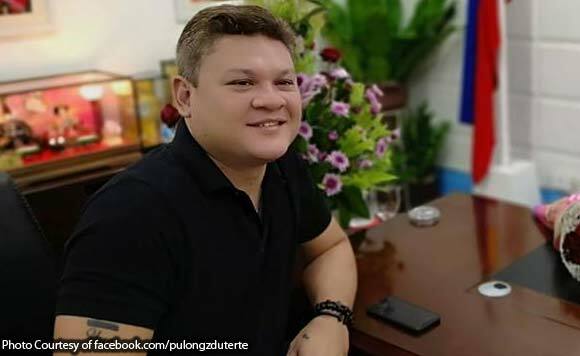 Former Davao City vice mayor Paolo Duterte isn’t keen on accepting Agot Isidro’s dare to show his back to disprove rumors about his supposed links to illegal drugs. In a Facebook post Friday (April 12), Duterte said Isidro could show her back— or strip naked— if she wishes to do so. He said the actress and her boyfriend, former Solicitor General Florin Hilbay, can show their bodies together. “Nanawagan ako kay Agot Isidro kung gusto nya ng hubaran, magsolo na lang sya. Or sila na lang ng gf nyang si Flor Hilbay. G?” Duterte said. Isidro dared the presidential son to show his back after senatorial candidate and former Special Assistant to the President Christopher “Bong” Go readily showed his to the media earlier this week. Go took off his shirt at a press conference to disprove the allegation made by an alias “Bikoy” in a video that he has a dragon tattoo containing information about his supposed links to the illegal drug trade. Bikoy has made a similar accusation about Duterte, saying the presidential son has a dragon tattoo on his back with the same details as the supposed code name he uses for drug-related transactions.